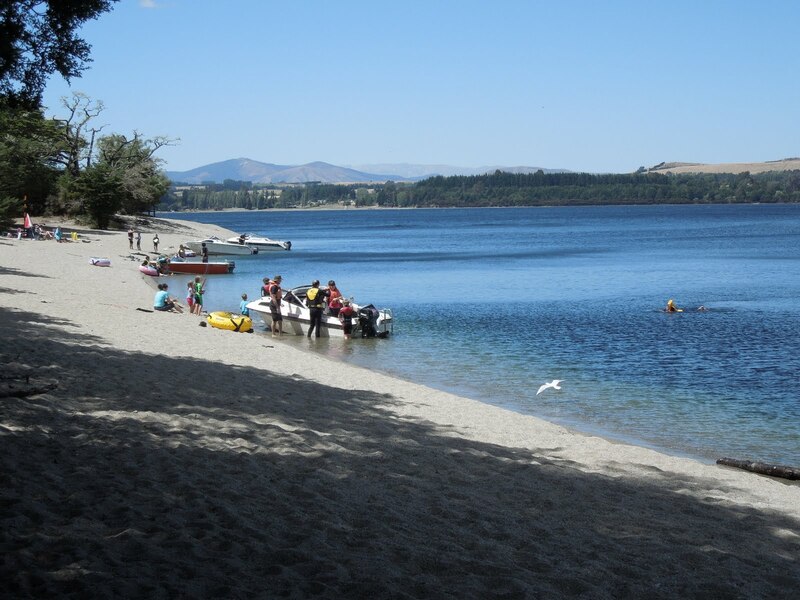 Today’s picture from my brother Andrew is just to remind us that it is high summer down there. Here it was a miserable day. Rain falling onto frozen ground made the town a skating rink. The upside was that it thoroughly justified my purchase of the Yaktrax as I was able to walk about nonchalantly with a lordly air, while all around less blessed people were creeping along cautiously. 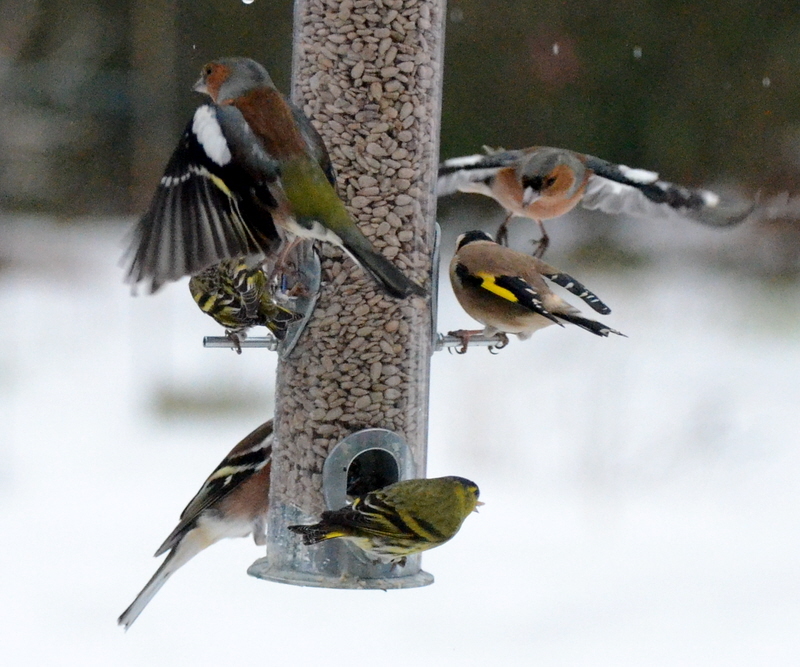 It also brought a great number of small birds to the garden. 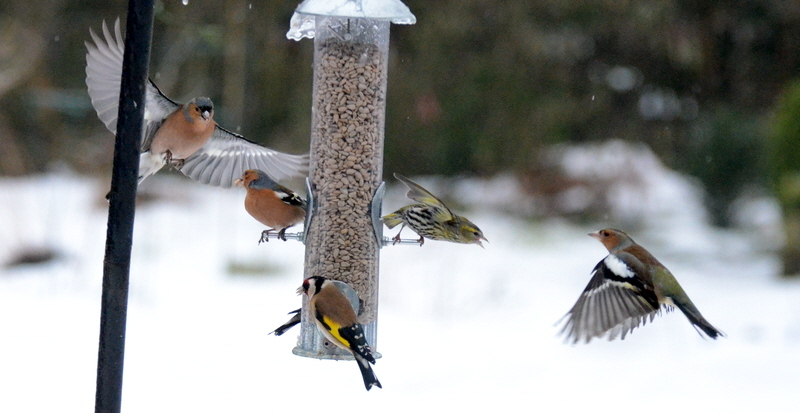 At one stage of the day, I counted over sixty and I had to refill the seed feeders twice. Arthur and Dropscone braved the slippery conditions to join me for coffee and Dropscone, after 55 years of practice, has finally produced the perfect girdle scone. The secret seems to be a spoonful of cottage cheese in the mixture. 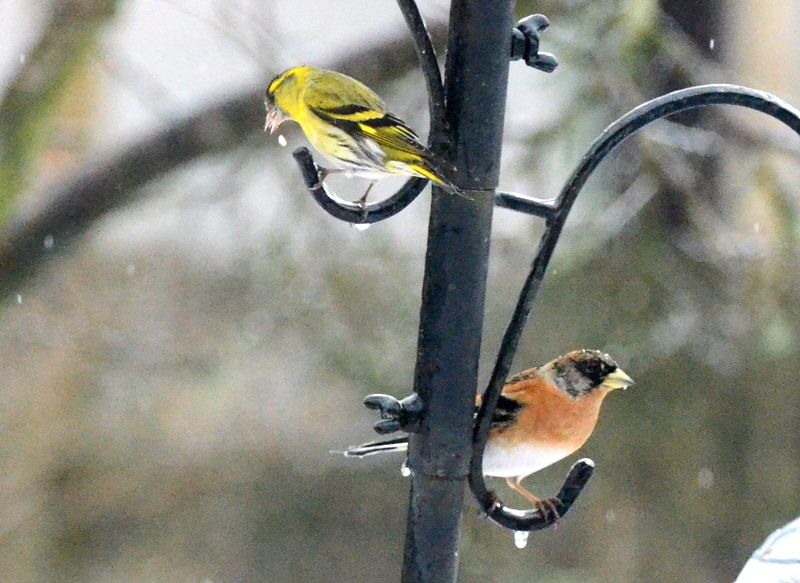 The feeders were never less than fully occupied. 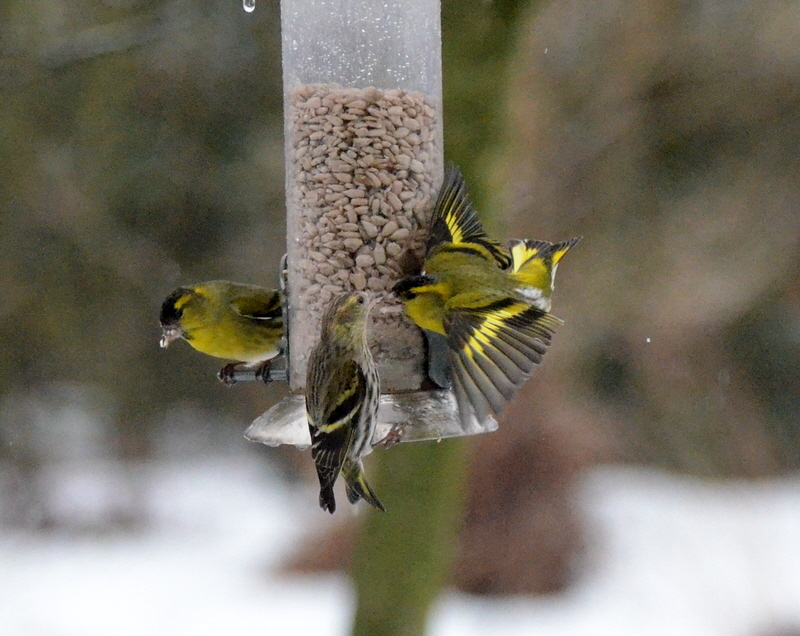 A lot of siskins turned up today. Although it rained gently all day, the snow didn’t seem to get any less. It will take quite a bit to shift it because it is frozen so hard. 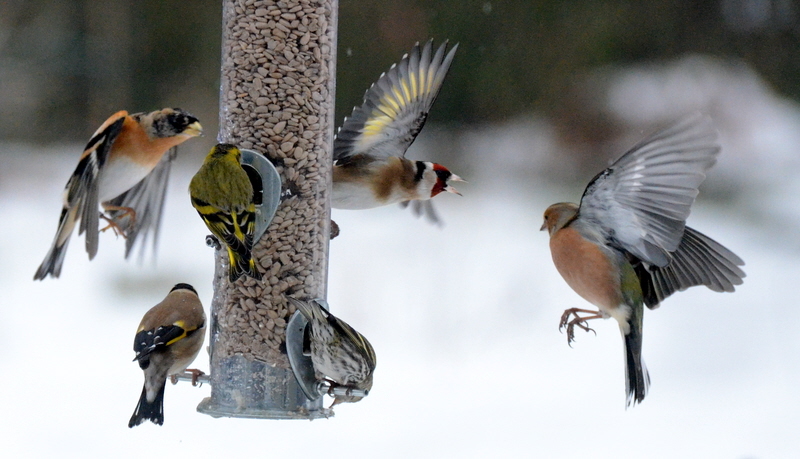 This should mean a continuing demand for the feeders. 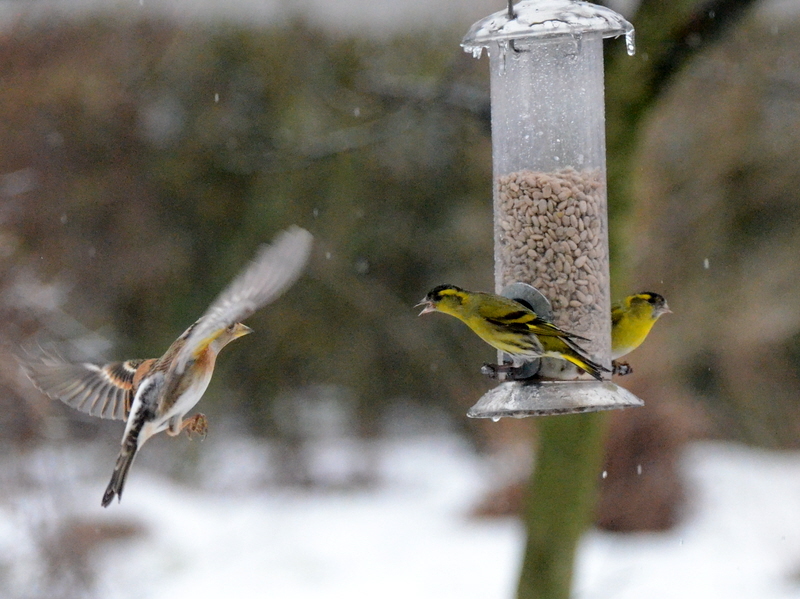 If any other birds can get past the siskins that is. There was almost always a queue for an available perch. …and sometimes there were lots. 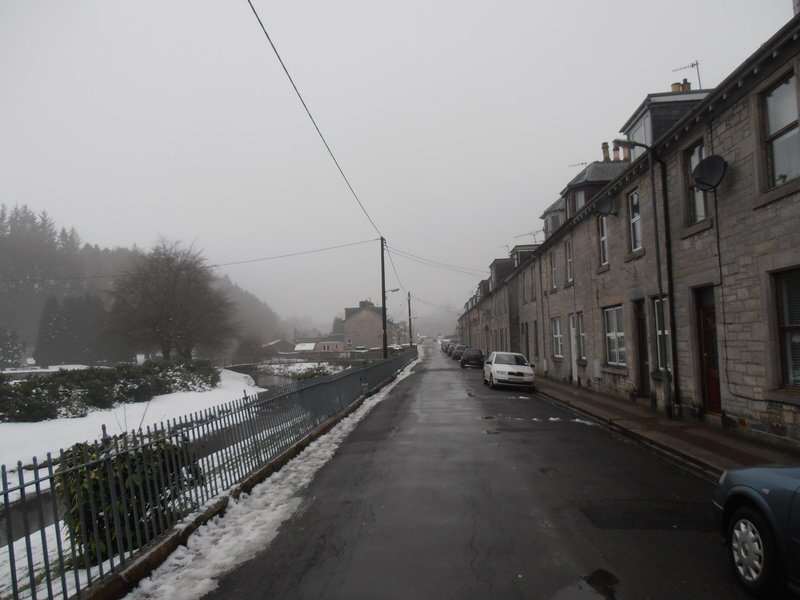 In the afternoon, I went up to the town to do some business and by this time, the roads and paths had been well gritted but it was still very gloomy. After an early tea, we set off, rather fearfully, to drive to Keswick, some 60 miles away, hoping that the roads would be reasonable. They were. I was taking Mrs Tootlepedal and two friends to see three of the original members of the Bonzo Dog Doo-Dah Band at the theatre there in a show called Three Bonzos and a Piano. They were assisted by a couple of other excellent musicians and provided an evening of inspired lunacy as they say. They started playing in the band in 1966 and considering that they are no spring chickens, they were in extremely jolly form and included both the celebrated solo for electronic trouser press and the Monster Mash among the evening’s items. There was a variety of new and old songs, along with exploding robots and fine spoon playing. We all laughed heartily at the gags, enjoyed the warm hearted music and marvelled at the energy of Roger Ruskin Spear, the group’s leader. We, and all the rest of the audience, left the show with a smile firmly fixed to our faces. The weather stayed kind for the return journey and altogether it was a grand night out. Your evening sounded joyful! Our snowfall was a Camelot snow. None on the roads all on trees and grass making the countryside looking like a fairyland. Glad you had such a successful trip to Keswick and that the entertainment was so splendid. 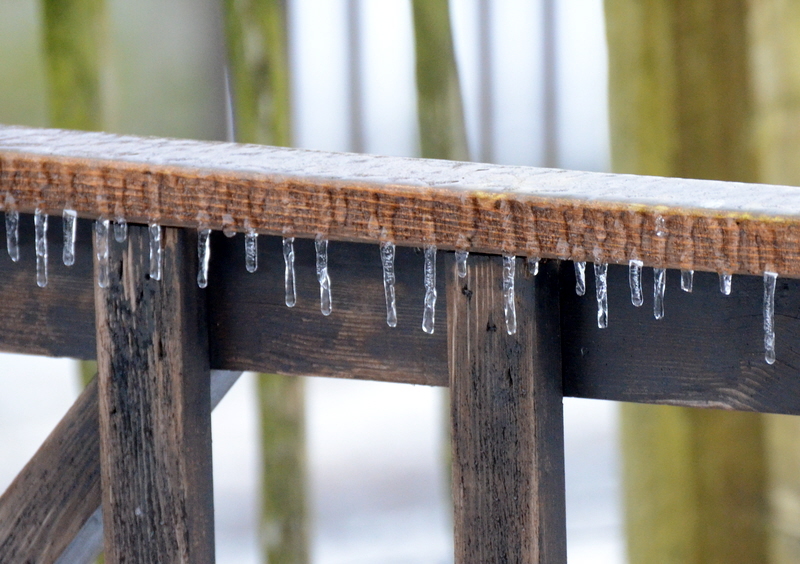 Hope it stops freezing sooner rather than later. 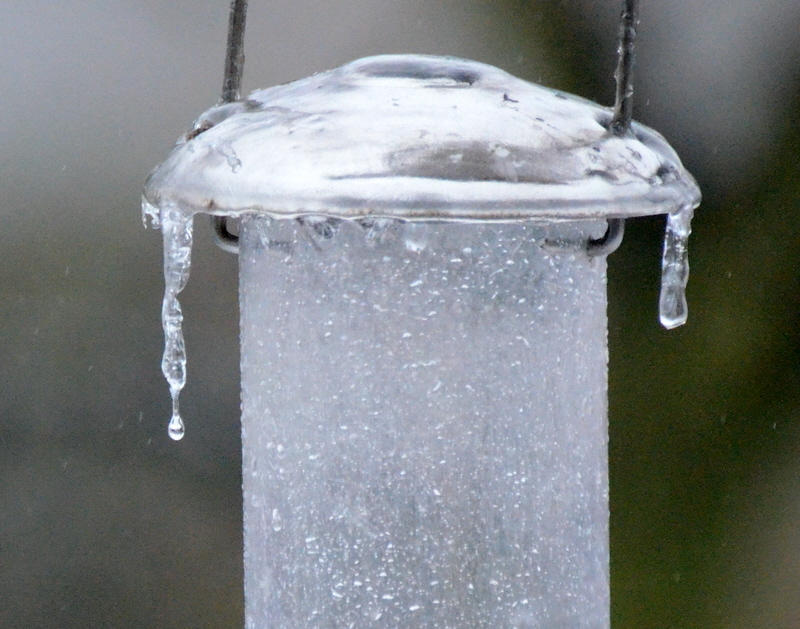 Congatulations to the perfect photograph of the icicles next to the top. Should be a winner in every contest.